The Easter holiday is a time for fun and family but it is also a time to learn about the sacrifice that God made for us. Jesus died on the cross to pay the price for our sin. He defeated death so that we all might live eternal life. Do you want to learn more about Easter? Would you like your kids to learn more about Easter other than egg hunts and bunnies? Here are some great resources for Kids and Adults that will help you learn more about Easter. I remember Easter as being a fun holiday full of candy, Easter Egg Hunts and a pretty new dress. I also remember it as a time when Christ love for us became the top focus from the pulpit. It is easy to recall hearing about how Jesus died for me and I could not understand why He would have to do that. As a child, I was confused by the story. God’s love is great and there is no doubt about that but getting that story across to a child can be difficult. I don’t know about you but I can not seem to learn enough about the love that God has for us. The more I learn about the death, burial and resurrection of Jesus, the more I want to know. Here are some great books and Bible Study resources to help you. Easter is a great time to give someone a Bible! There are so many to choose from so it can be difficult to choose. 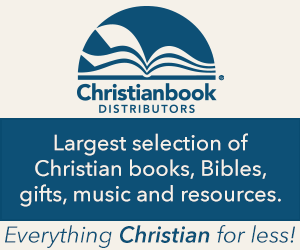 Here are some Bibles that will make great Gifts. I have included one for Women, Men, Teens and Kids.